I admit that in the past few weeks, I’ve neglected the blog a tiny bit. I’m so sorry! But I have been doing a lot of book-writing! The novel is almost finished, I just have a few more scenes that are floating around in my mind that I need to get down onto an actual page. Once the first draft is complete, it will go through an editing process. Once the editing is done I can publish! So what have I been doing other than writing you ask? Since my kids told me I’m no fun anymore (see previous post) I have made a point to have a lot more fun with them. 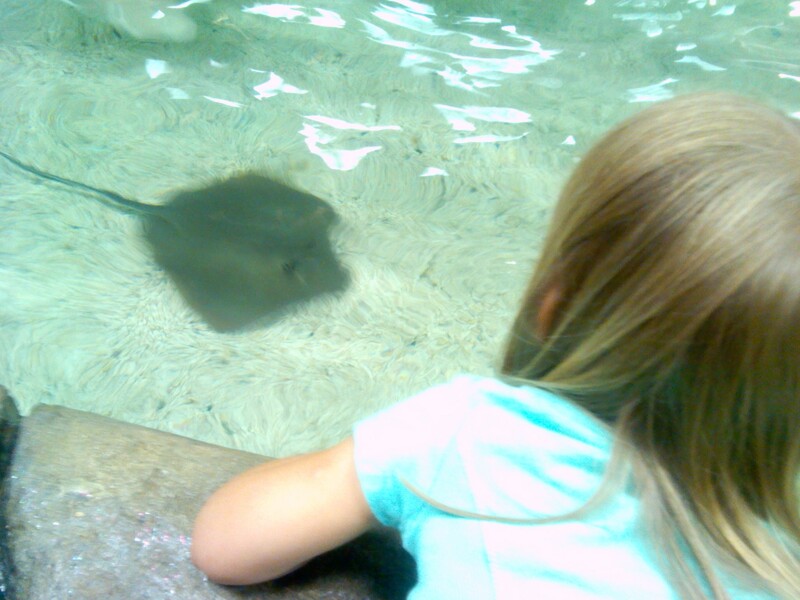 And what could be more fun than touching sting rays? The first touch was…interesting. My poor kiddos were a little embarrassed from the attention my scream drew to us, but eh, they’ll get over it. Who knew sting rays would be that slimy? 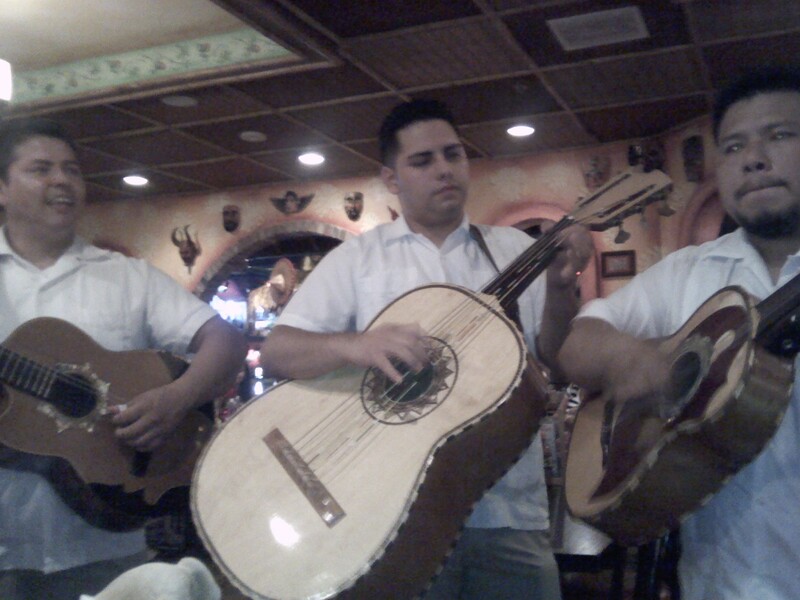 We’ve had a few dinners with our favorite Mariachi singers! How sweet they are to sing Twinkle Twinkle Little Star en espanol for the kiddos. 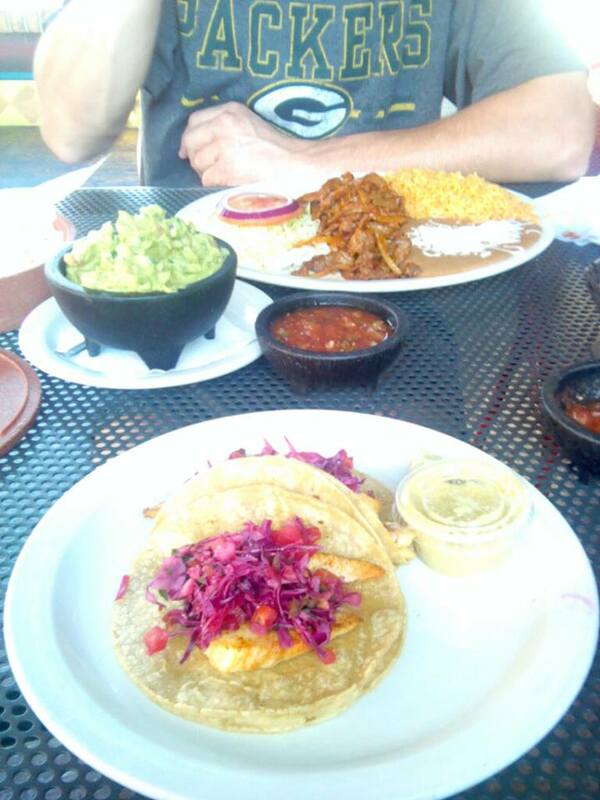 I’ve got to say, I’ve never had a bad experience at El Beso, their service is always incredible. In fact, the last time we were there, as we sat next to a large group (which included several kids) at the outdoor patio, a baby bird fell from it’s nest, and the staff got their big ole’ ladder out and returned the little bird to it’s home so that all the little kids could rest assured knowing that it was safe. Pretty touching, huh? The food is quite delicious, too. Tasty food. Excellent service. Charming Mariachi singers. (And yummy drinks). Can’t go wrong with that! And really, Summertime would not be complete without going to the lakefront at least once or twice. And for you out-of-towners, when I say lakefront, I mean the big one. 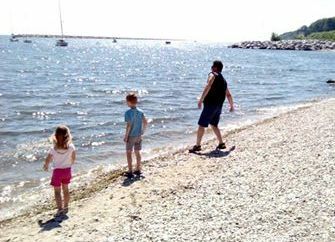 Here’s the husband teaching the kids how to skip stones. Moments like this truly are the best! Another staple of summertime? Concerts. My husband and I saw Hinder for the first time and despite the lead singer not being there, they put on an amazing show! Remember my post from a few weeks ago? The one where I talked about how the song Beautiful Day by Saving Abel inspired one of the scenes in my book? (If not, click here) Coincidently, Jared Weeks from Saving Abel was Hinder’s replacement singer. I know…Spooky, right? Maybe it was the smaller venue, but I’ve never seen a rock band show such genuine gratitude for their fans. Meeting the band was an exciting surprise and, although brief, it was an experience I’ll remember forever. I encourage everyone to listen to their music…because it’s good. And for some crazy reason, the only Hinder song that I’ve ever heard on Milwaukee radio is “Lips of an Angel,” so if you want to hear their newer stuff, and you live in Milwaukee, call up the radio stations and tell them, or click here to see Hinder on youtube. 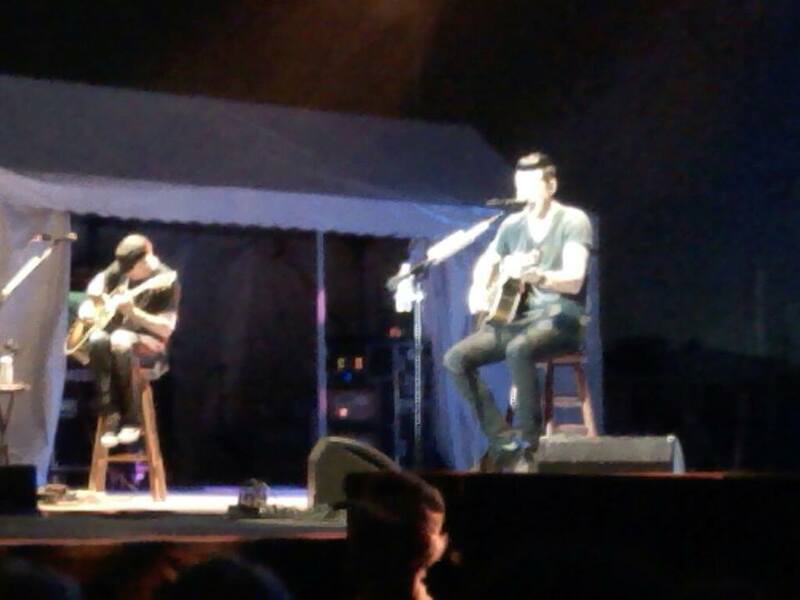 We had a great time at Theory of a Deadman, too! 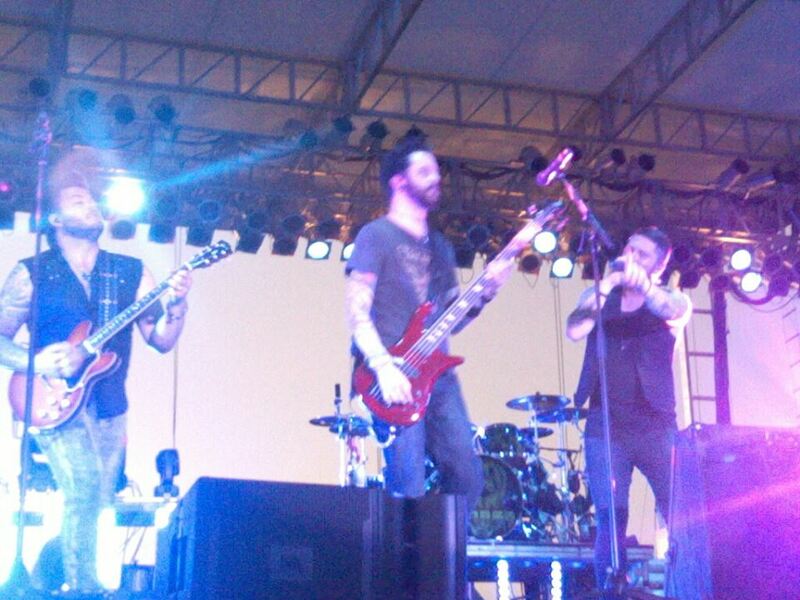 Didn’t get to meet them though…I guess Hinder has raised the bar for me in that sense. 😉 Still, TOADM is my other favorite band, and come to think of it, I haven’t heard their music on Milwaukee radio either. What the heck, Milwaukee? Click here to see TOADM on youtube. These are just a few of the things I’ve been able to do this summer. But it’s not over yet! There’s still plenty of fun to be had!